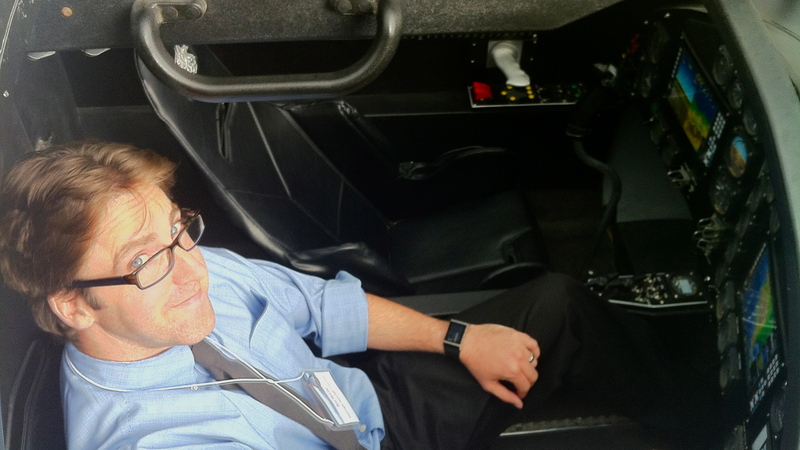 Having an unashamedly good time stealing a few moments between talks inside the XCor Lynx spacecraft mockup parked behind NSRC 2013. 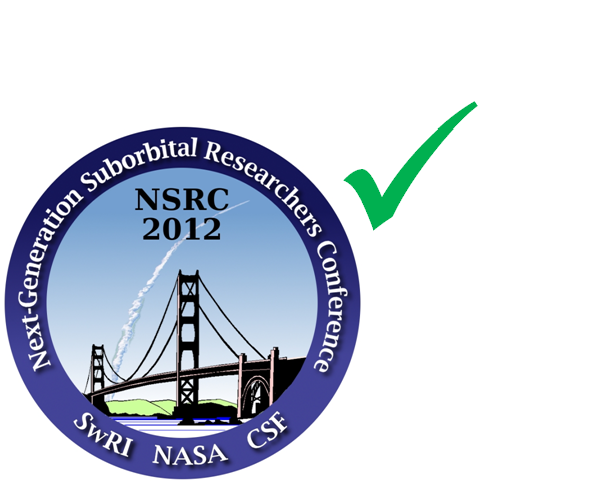 I recently had the great pleasure to give a talk (and serve as co-author for a second) at the fourth annual Next Generation Suborbital Researchers Conference (NSRC), held this year in Boulder, Colorado. 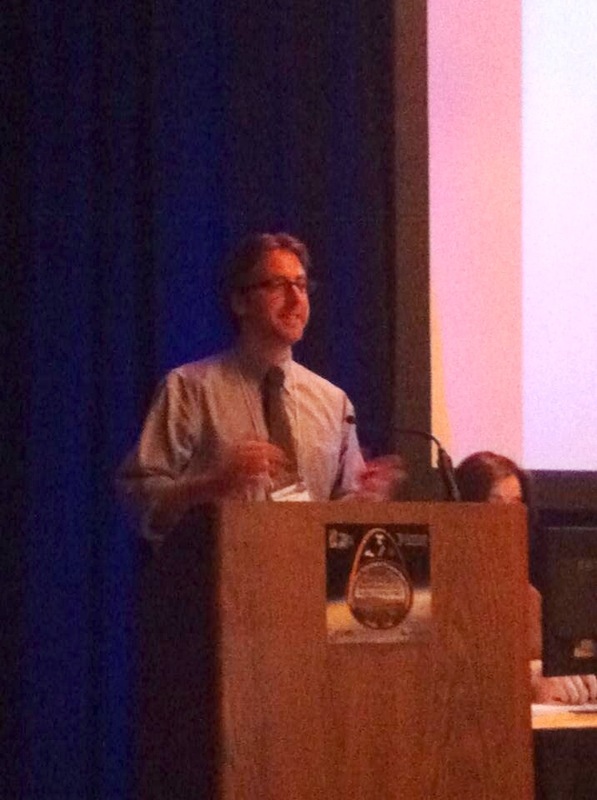 As a one-of-a-kind collection of researchers, entrepreneurs, spacecraft providers, students, and government representatives, NSRC’s intent is to foster collaboration of a sort that will enable the research world to fully utilize what amount to a fleet of new spacecraft looking to come online within the next 24 months. In all, exciting to be amongst like-minded folks, great to see familiar faces again, and a thrill to forge new alliances. 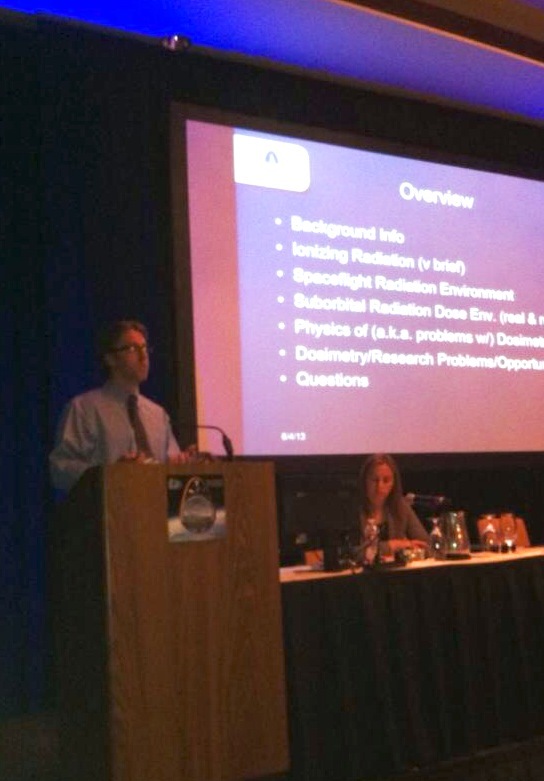 The private/commercial spaceflight world, particularly in the suborbital context, is primed to (mis)use off-the-shelf radiation dosimeters designed for the commercial nuclear world; these instruments will not deliver complete or ultimately meaningful numbers without applying specific scaling algorithms to the results, in essence calibrating them for the space environment. User beware! 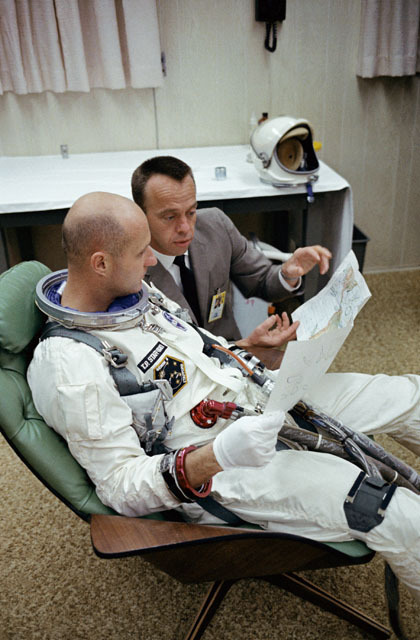 The greatest benefit of bothering to outfit suborbital astronauts with radiation dosimeters might not be to the spaceflight participants themselves, (who would receive in all but the most extraordinary circumstances a practically immeasurable radiation dose). Instead, the greatest effect may be to improve Earth-based low-dose modeling and safety standards, the researchers engaged in which would benefit immeasurably from having a completely new population group to study who are intentionally exposing themselves to low-dose, high-intensity radiation. This is also, *hint hint*, a completely untapped research funding angle (contact me if interested in collaborating – seriously!). So, there you have it. If not taking advantage of my own firm’s radiation dosimetry services, my message to the suborbital spaceflight world was to at least engage in planning one’s own flight experience armed to understand that accurate dosimetry in the space environment is not something one can just pull off a shelf and slap on the outside of a pressure suit! 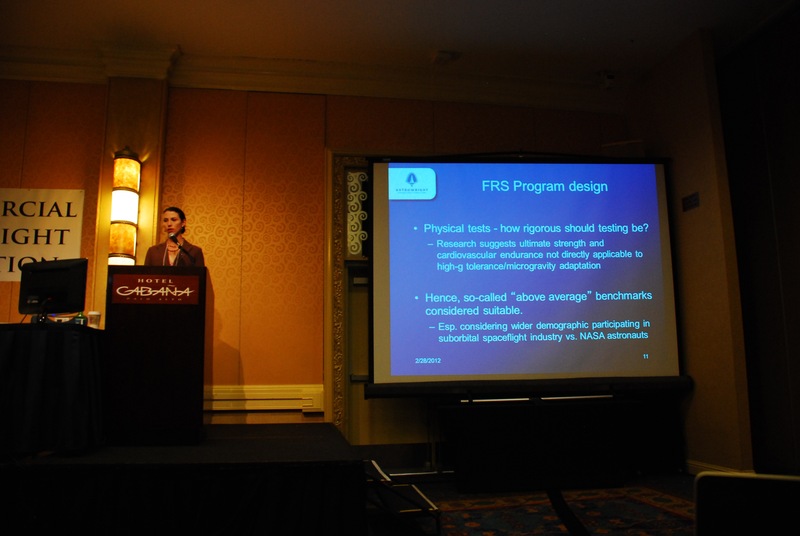 The second talk, which was expertly given by co-conspirator Dr. Mindy Howard of Inner Space Training, involved a task-based assessment of potential spaceflight tasks for suborbital spaceflight participant. The objective there? 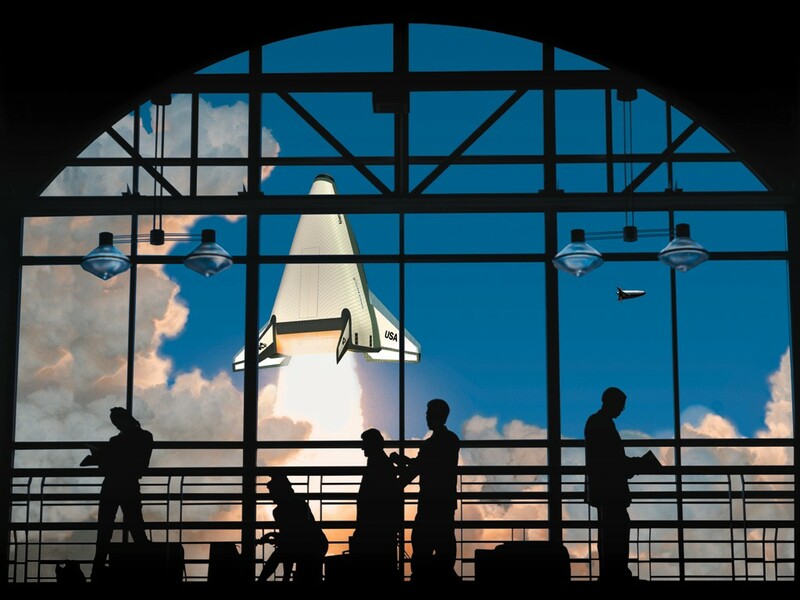 The development of a spaceflight training “roadmap” to help participants decide which training amongst the many types offered by providers is relevant and necessary for their personal flight goals. The power to decide which training is or is not relevant to an individual should not, in my opinion, be left up to the spacecraft providers (who may and likely will not have your specific goals in mind)! That’s where our roadmap research comes in. Please feel free to contact me or Dr. Howard for any additional details along those lines. Well, the pulse at the conference was that the next twelve months appear to be crucial. 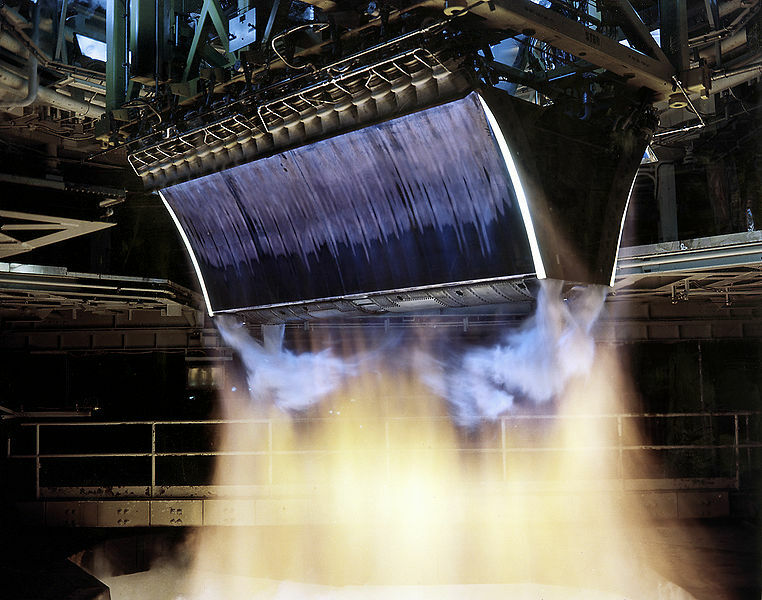 With business plans starting to kick in and metal finally being flight tested, I feel as though there are two distinct options for NSRC 2014: It will either be aflood with the excitement borne of the dawn of commercial suborbital spaceflight, or attendance will plummet as cynicism and a fear of perpetual development cycles sets in. For now, the future looks bright, and that’s good news! Until next time, NSRC. Cheers! 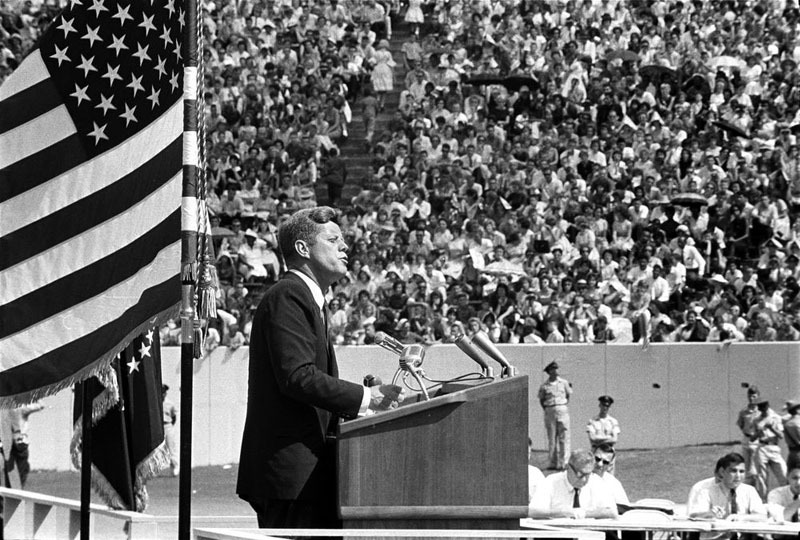 JFK at Rice University, Sept 12, 1962. Exactly a half-century ago today, President John F. Kennedy declared in a landmark speech America’s rationale for achieving the impossible: Going to the Moon. And it is in this speech, which we commemmorate on the day after another anniversary marked by such tragedy, in a social climate today burdened with so much loss, strife, and economic depression, that we can draw inspiration and hope for the future. 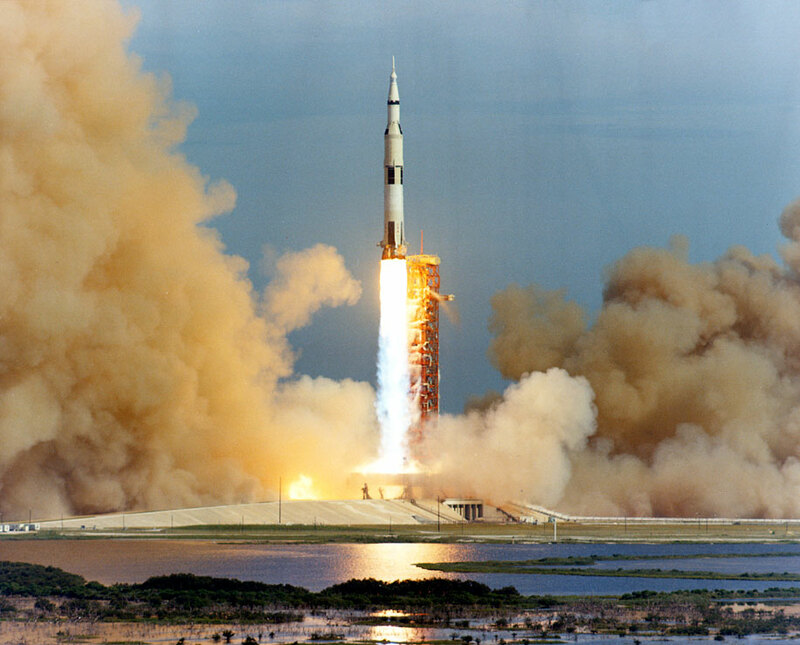 Unlike our opponents at the time, Kennedy’s message was a message of freedom and peace in space. And to ensure it, he had to sell it to the American people. We might look upon the International Space Station today as the realization of Kennedy’s vow for peaceful, knowledge-centered pursuits in space. -And private companies like Virgin Galactic, SpaceX, XCOR Aerospace, and Planetary Resources are today challenging the hardships of space in the pursuit of space’s rewards. As we look to heal – economically, socially, spiritually – we might look to space as the ideal environment that Kennedy championed, which holds true today: A frontier yet-unblemished by conflicts over belief, religion, combative nationalism, or economic strife; A place from which all explorers emerge with a renewed sense of kinship with our lonely world and the inhabitants of its many diverse and unique cultures; A place where we go to forge technological solutions and harvest knowledge from the very farthest extent of our reach so that all might benefit from it; A place where we have constantly demonstrated the best qualities of humankind. Today, fifty years after Kennedy set us on a path that many would argue changed the course of history, whether considering the issue of jobs, rights, prejudice, education, or wars, I believe we need space much more than it needs us. And Kennedy helped light the way. It’s with an almost electric sense of expectation that I am pleased to report a change in the tide of space exploration. It’s a change that history has never seen before. 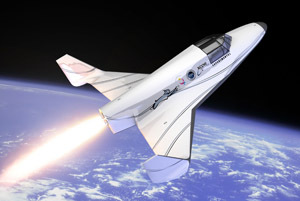 -With the advent of private spacecraft, (e.g., Virgin Galactic, SpaceX, Orbital Sciences, XCOR Aerospace, Armadillo Aerospace,) a critical mass must be near or already achieved, because suddenly the Corporate Scientist-Astronaut has taken shape. Companies are stepping up to provide training, and pioneers are filling out the flight suits I hope to one day wear. It’s thrilling. 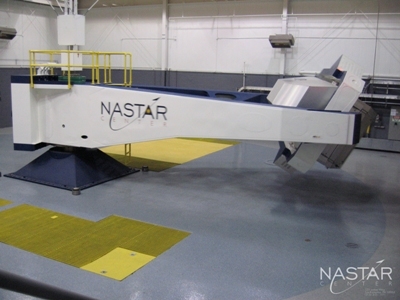 For example, the Federal Aviation Administration’s Office of Commercial Space Transportation has recently awarded safety approval to a private firm to offer astronaut training – known as the National AeroSpace Training and Research (NASTAR) Center, it’s the first of its kind. Their services include centrifuges, hyperbaric chambers, technical training, and custom flight simulators, and they’re state-of-the-art. Then, there’s Starfighters, Inc. – the first company of its kind to get both the FAA and NASA’s approval to provide live suborbital training to corporate astronaut-hopefuls using a small fleet of F-104 Starfigher jet aircraft. 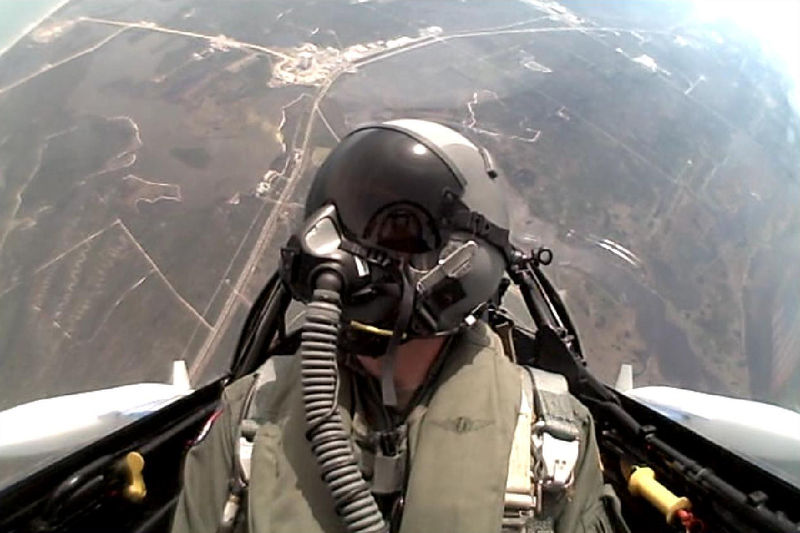 Suborbital flight training. Credit: Starfighters, Inc.
And, then there’s the Astronauts4Hire initiative – with a collection of young up-and-coming space scientists vying to get their training at the aforementioned facilities sponsored so that they too can “get in line to fly.” They’re marketing themselves as burgeoning commercial suborbital payload specialists, the idea being that when companies/universities/etc. 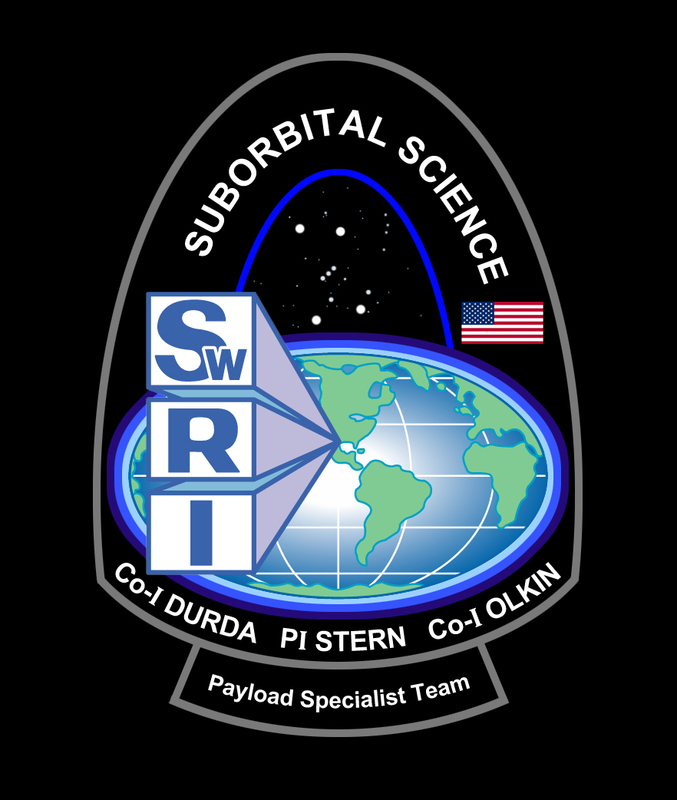 want to perform suborbital research using the new spacecraft around the corner, it’ll be cheaper to hire these guys than to train and certify their own staff for spaceflight. -I think it’s a fantastic idea. Heck, I’d be jazzed to sign up with them one day if the opportunity arose. The market is so ripe that company Orbital Outfitters, a private spacesuit manufacturer, has formed to offer standardized “get me down” spacesuits to supply suborbital researchers. Known as the Industrial Suborbital Spacesuit, or IS^3, the suit provides at least 30 minutes of emergency life support at at an altitude of 90 miles and offers imbedded communication equipment and biometric sensors, enhanced visibility, and can even be integrated into a parachute harness. 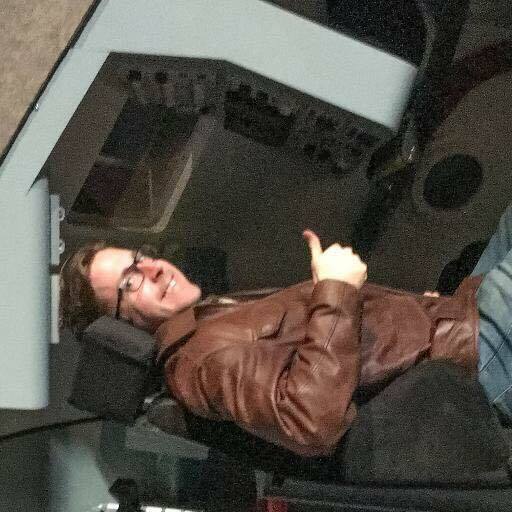 The future is now, and it looks like my dream of becoming a corporate astronaut is more realistic than ever. All I have to do is find the right way to get my foot in the door…. er, airlock.